Lakeland Kidnapping Defense Attorney - Lawyer, Providing Professional Kidnapping Criminal Defense Attorney legal services for Lakeland, Winter Haven, Bartow, Polk County, and the surrounding Central Florida area. Call 863.660.2185 to Speak with Lakeland Kidnapping Criminal Defense Attorney / Lawyer, Joshua E. Schoen. The Florida Statutes also include provisions relating to confinement of a child under the age of 13 is against her or his will within the meaning of this subsection if such confinement is without the consent of her or his parent or legal guardian. Armed kidnapping and capital crime kidnapping crimes are also addressed under Florida Statutes. 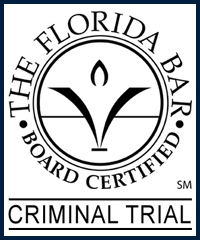 In order for the prosecution to obtain a conviction for kidnapping the prosecution must prove beyond a reasonable doubt that the accused forcibly, secretly, or by threat confining, abducting, or imprisoning another person against her or his will and without lawful authority, in addition to other requirements under Florida Statute §787.01. It is not uncommon for an exaggerated or false claim to be made against an individual who is charged with kidnapping. Often times the accusation is associated with a disagreement or heated argument. Your attorney will make every effort using every available legal resource to to prove the claims to be false and prove your innocence. If a dismissal of your kidnapping charge is not possible, we will ensure you are fully aware of your legal options going forward such negotiating for a plea deal, or in the case of a trial ensure you are fully aware of every aspect regarding defense strategies that may best serve in the defense of the charges against you. Protect your rights by seeking the legal advice and representation of an experienced Lakeland Kidnapping Criminal Defense Attorney / Lawyer. Contact Lakeland Kidnapping Criminal Defense Attorney / Lawyer Joshua E. Schoen at 863.660.2185 in the Lakeland, Winter Haven, Bartow, Polk County, and the surrounding Central Florida area.